Nanowrimo — Knock out 50K words in November’s 30 days! It seems like such a cool challenge: write a novel of at least 50,000 words in a month. That’s almost 1700 words a day. Not bad if you’re Dean Wesley Smith, who routinely writes a bunch of words every day. But for me, it isn’t going to happen. I could probably knock out a short story or two, but no way am I going to get 50K words written in a month. Not the way I write. I get a story idea, and I plow into it. I have a dozen stories started on my USB drive that I carry around between office and home, and some of them will never get finished because they won’t go anywhere. (And some just flow right out like they were telling themselves.) A lot of times I loose focus on a story, and don’t know where to go with it. So I do one of two things. I either go back to the beginning, rereading and rewriting as I go, or I move on to another story. Either way, I’m taking away from that 1700 word goal. Then there’s my schedule. I simply don’t have the time to write every day. I’m not a morning person in general, and I certainly don’t have enough focus to get up early and write. I wouldn’t, even if I didn’t have kids going off to school. (Not that I’m doing much besides offering support services; my wife does the heavy lifting with the morning rituals for them.) I tend to write best in the later afternoon and evening. I don’t know why; that’s when the words will flow. And so I don’t get to do too much with that, either. So Nanowrimo is not a realistic goal when you work full-time and have family obligations. Especially if you’re a pantser, like I am, and not a plotter. When I don’t know what I’m going to write, I probably won’t write much. If I know where I’m going, I can crank out the words, but those days are not that common. Anyway, good luck to those of you actually doing it. Hope to read a novel or two from the project. This entry was posted in Uncategorized and tagged Personal, writing on September 30, 2015 by Scott Dyson. I finished reading Jonathan Kellerman’s KILLER, an “Alex Delaware” psychological thriller novel, yesterday. The story grabbed me and I came to a point where I couldn’t put it down. I feel like I’m reading about an old friend when I read Kellerman’s Delaware novels, and this one was no exception. The familiar troika of Alex, gay police detective Milo Sturgis, and Alex’s significant other, Robin, are all present, as are a few bit players like Moe Reed and Petra Connor. And the plot is familiar too: A criminal case ties into Alex’s practice as a clinical psychologist. If you’ve ever read any of these books, you know that Alex consults for the police, and Milo Sturgis is sort of a one-man police force due to some incriminating information he has over the current chief of police in Los Angeles. Milo can do pretty much whatever he wants, and he has the best clear rate of any detective in L.A., thanks in no small part to the insights of his psychologist sidekick. Alex also has varied experience ranging from hospital work to clinical therapy to court work to…well, he’s done a bit of everything, it seems, and he’s good at everything. But through it all is a sense that he’s human, with human doubts and failings. No superman sleuth here. And there aren’t any special forces types waiting in the wings to bail them out if they get in over their heads. I like that. So many detectives have someone who is a little too tough to be believed, really, at their beck and call. Not Alex. He has Milo and a few other cops. And Milo has Alex. I also liked the voice that Kellerman uses in these first-person novels. Alex is talking and thinking and telling the stories that make up the plot of these crime thrillers, and his voice is distinctive. There’s a “clipped” feel to the writing that makes you know it’s Alex and not some other point of view (though I can’t really recall Kellerman altering the POV away from Alex in this series…but there’s a lot of books and maybe he has done so a time or two, shifting perhaps to Milo’s point of view). You’re in Alex’s head, and it’s a comfortable and comforting place to be; a character who is confident in his skills but not omniscient or always right, and his discomfort when he thinks he’s been hoodwinked or something comes through and it feels right. There was a point in the series where I felt Kellerman was “mailing it in” with these stories, that perhaps he had lost the passion for telling Delaware tales, but somewhere along the line, he got back on track (in my view) and these recent ones have been excellent. This one is no exception. This book starts with Alex talking about a woman walking into his office and making a thinly veiled threat to shoot him right then and there. Needless to say, it spooks Alex, but he convinces himself that it wasn’t much of a threat and he doesn’t need to inform the police. At this point, he flashes back to the case in question, one where a woman (the woman who threatened him) wants to use the legal system to take her sister’s child away from her, using her considerable resources to hire “experts” and high-powered attorneys. Alex is brought in by the judge, and he supports the child’s mother. The judge agrees with him, and the case is resolved in that manner. The woman, not accustomed to losing, makes her threats. Alex informs the judge of what happened, and that is, he hopes, the end of it. When Milo and another cop show up on his doorstep a short time later, Alex learns that the woman has tried to take out a contract to have Alex (and perhaps the judge, as well) killed. The hit goes to a Hispanic gang, and it so happens that Alex had some dealings with this kid when he was a young diabetic who wasn’t following medical advice. Alex made an impression, and as luck would have it, this kid, now a young adult and fully involved in the gang, really likes Alex and prevents the hit at the gang level, and in fact, goes to the cops. Lucky break for Alex. Once again, Alex feels the brush of death against him, how close he came, if not for this serendipitous relationship with a gang member in days gone past. But the woman turns up dead, and guess who’s the prime suspect? No, it isn’t Alex. It’s the sister, who appears to have left town the very night of that murder. Milo’s sure it was the sister who did it; everything seems to line up. Motive, opportunity, and then the flight. But Alex is so sure that he couldn’t have been wrong about her…and once again, Alex faces something that shakes his outward confidence. You can feel his internal discomfort as you read these sections, as he tries to project calm and confidence outward. But Robin knows, and so does Milo. I was less than thrilled with the resolution of the case. It worked, but I was hoping for something a little…less out of left field, I guess. I won’t say more. It didn’t ruin the book for me, but it did make me wish that there had been a more elegant solution to the mystery presented; that is, where was the sister, who killed the woman who threatened him, and what happened to the baby. A good, quick, fun read that kept me sucked in for a day and a half with non-stop reading at night, in the morning, and finally, between patients and over lunch until I finished. Looking forward to the next one when it hits the bargain shelves at Barnes and Noble. This entry was posted in Uncategorized and tagged Alex Delaware, book review, Jonathan Kellerman, mystery, thriller on September 22, 2015 by Scott Dyson. 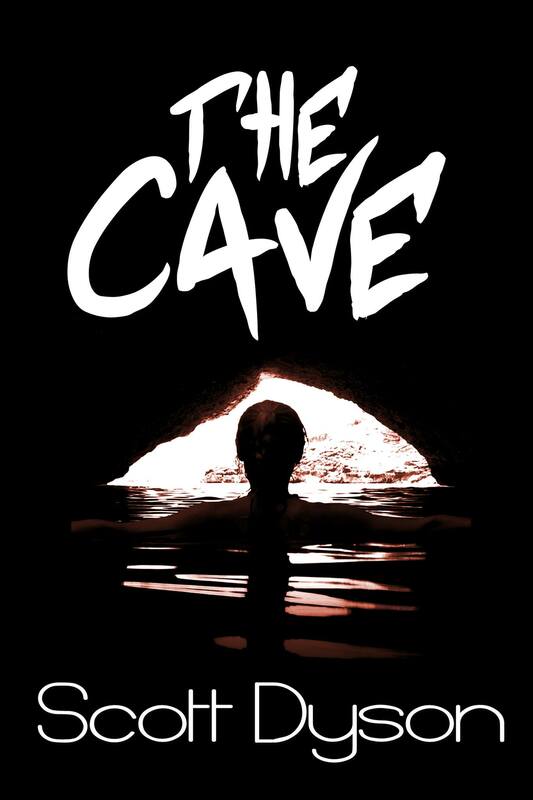 I wasn’t sure what to expect from this book, and at first, I was a little disappointed, because it took the story a little bit of time to grab me and pull me in. It seemed that a lot of pages were dedicated to showing me what a non-descript high school kid Daniel was. But I knew it was a Hugh Howey story, and so I kept reading. Finally, as the storm hit, the story kicked in, and when Daniel meets a neighbor girl who he previously didn’t even know existed, we are treated to the real Daniel…the kid being hidden by all the BS that is high school social interaction. And from there the story became (for me) a compelling read, demanding that I continue until I reached the end. For me, the mark of a really good story is that I want to know what happens to these characters down the road. Howey made me care about them, and that is a success in my book. This entry was posted in Uncategorized and tagged book review, ebooks, Hugh Howey, novellas on September 17, 2015 by Scott Dyson. I finally did it! 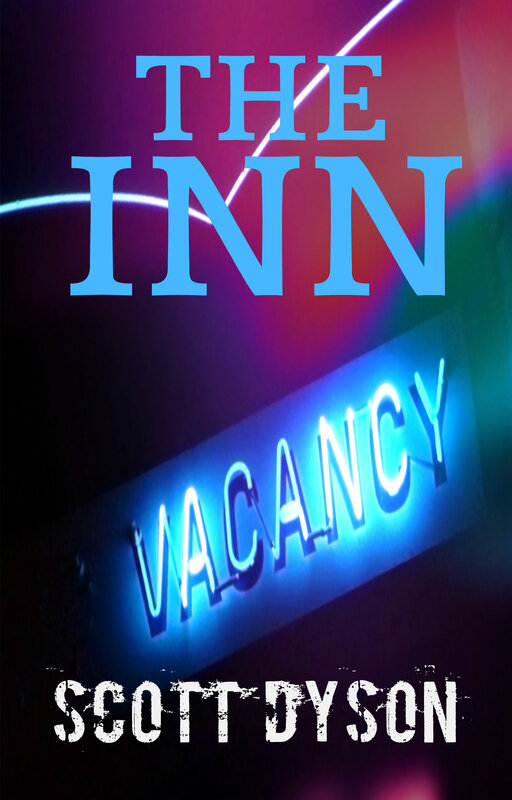 THE INN, my 37,000 word horror/suspense/thriller, is live on Amazon! It’s not for everyone. It’s horror (nothing extreme, but people die and such, like in most horror), and it’s the realistic type of horror, not the supernatural type. But please take a look if you are so inclined. 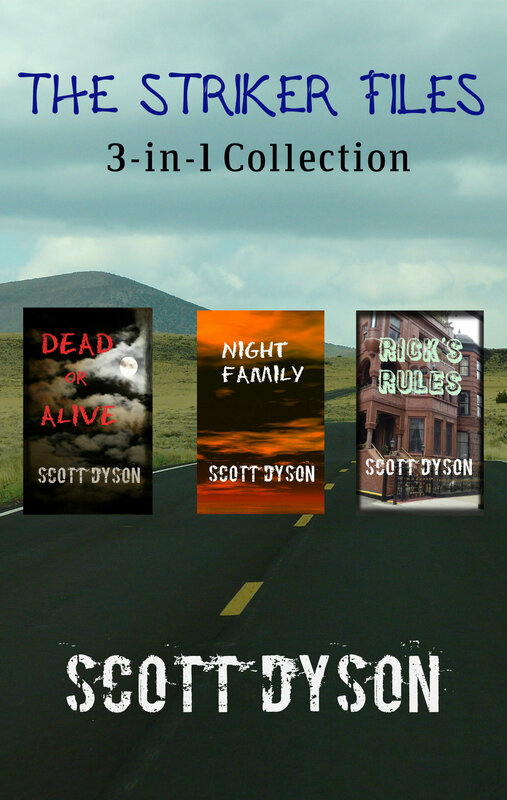 This entry was posted in Uncategorized and tagged Amazon, Deadlock Press, ebooks, fiction, horror, novellas, Scott Dyson, self-publishing, thriller on September 14, 2015 by Scott Dyson. As you might know if you read the “About Me” section or my bio on Amazon or in any of the ebooks that have it in them, I work full-time as a healthcare professional. And I am “Dad” to two teenagers, with all the attendant responsibilities. I also have an older parent who still lives by herself and still drives, but is starting to get a little forgetful. So I’m a little busy. Work is about how it always is. A little slow in September, as usual, after the kiddies go back to school and the parents take a breather from appointments. I can always use a few new patients (so if you’re in the Crest Hill, IL area and you need a dentist…) And my mom is about how she always is, also. Both require a lot of time, but both always have and probably always will. Then there’s the kids. Both are involved, and both keep us plenty busy. 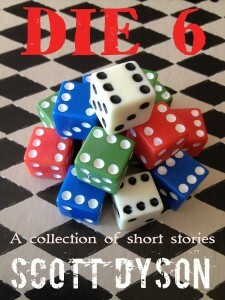 So where do I find the time to devote to my attempt to publish my stories? 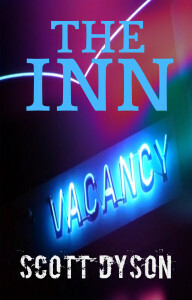 I have this book, THE INN, ready to go; I had the cover done and had finished a final editing pass of the file. But when I showed the cover to my wife, she thought we could tweak it a bit. So I looked for the picture on the site where I thought I got it, a site where you can grab photos for free, for any use you want. (I think it was Pixabay.) But it wasn’t there. So I searched the internet, and realized that I hadn’t found it there at all, but had seen it on a website and had saved the image to my computer. I didn’t know about the rights to the image I had, and couldn’t really find anything, so I thought, it would be easier to find another image and make a new cover. But I just have not had the time to do it. This weekend is our first big marching band competition, and we’ll be gone almost all day for that, so I don’t know that I’ll get to it anytime soon. Meanwhile, the book sits there, ready to publish. If I get to it over the weekend, I could possibly have it available for purchase next week. 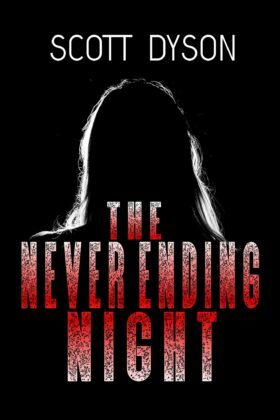 It’s a short novel or a novella, about 37,000 words (I think), and I think horror-thriller fans will like it. 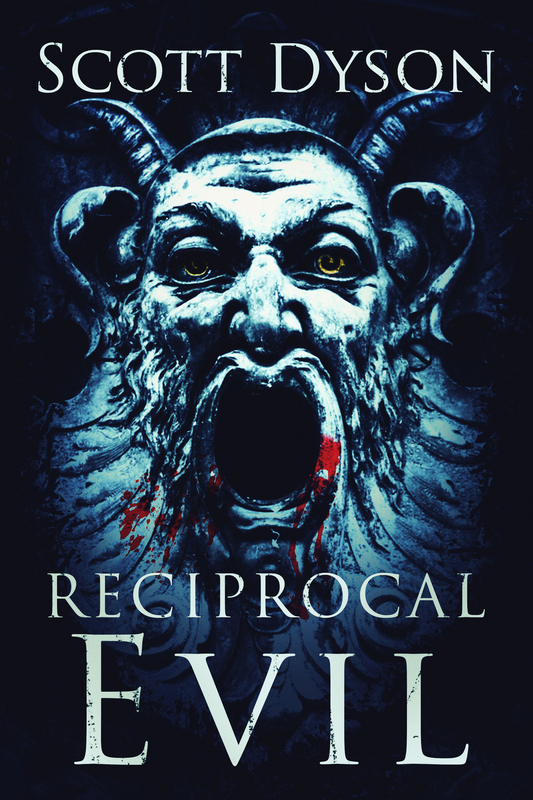 The next one that is written but needs some rewrites and then editing is something I’m currently calling RECIPROCAL EVIL, but I’m not sure I like that title. I finished Hugh Howey’s THE HURRICANE and will try to copy my Amazon review to the blog sometime later. 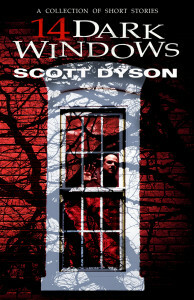 This entry was posted in Uncategorized and tagged horror, Personal, thriller, work in progress, writing on September 11, 2015 by Scott Dyson. Finished up three books last week. Two were ebooks by Edward W. Robertson, who writes the BREAKERS series. The first was BLACKOUT, the final book of the eight-book BREAKERS series. If you’re not familiar with the Breakers world, it is a post-apocalyptic tale where two things happen to end civilization as we know it: a viral disease that claims around 99% of all people (like in King’s THE STAND, which Robertson admits to using as his inspiration in this series) and then an alien invasion. Turns out, the aliens, huge crab-like beings, sent the viral plague to Earth, and they figured they’d wipe out all of humanity with it, but when they come to claim the empty planet, they find plenty of humans willing to fight them and their advanced technology. BLACKOUT, as the final book, occurs as people are trying to rebuild some sort of civilization and society, only to discover that a second “mother ship’ of alien “Swimmers” has arrived. I found it to be a satisfying conclusion to the series and one that followed logically from everything that happened before. The people who I’ve gotten to know over seven books all seem consistent with the character that they’ve exhibited throughout the saga. The aliens became a bit more knowable, and it set up another series in the same universe, but set many years in the future. The other series is called the REBEL STARS series, and the first book of this saga, titled REBEL, is the other ebook I read. I grabbed REBEL as part of a promotional “box set” with ten “galactic tales”, titled STARS AND EMPIRE. (None of the other titles have really grabbed me much, so REBEL is the only one I’ve read, and it may continue to be the only one…) So anyway, in REBEL, a crew of space asteroid miners is working on an asteroid when they make a discovery — an ice-bound alien ship. Seems that this is a Swimmer spaceship, and these humans are the descendants of those people who dealt with the Swimmers when they first attacked Earth. As they excavate the vessel, they are attacked and everyone except for one is killed. Their discovery, which they had tried to keep secret, is stolen…and when someone gives the survivor a chance to recover it and also to get revenge on the murderers of her crewmates, she jumps at it. And, speaking of Stephen King, I tackled REVIVAL, which is his second newest (FINDERS KEEPERS is his newest at the moment) novel. I hadn’t heard great things about this novel, but I have to say I ended up enjoying it quite a bit. It’s a bit of a slow starter. When our hero, Jamie Morton, meets his “fifth business”, pastor Charles Jacobs, he’s only six. And there’s a lot of backstory that King gives us in his usual colloquial style, about Reverend Jacobs’ fascination with electricity (the “secret” electricity, he calls it) and then the death of his lovely wife and young child and his subsequent loss of faith. And of course, there’s Jamie’s backstory, his youth, his high school years, his discovery of the guitar and of rock and roll music, the love of his young life, Astrid, and his subsequent loss of his own faith and his separation from Astrid as they graduate from high school. Jump forward a bunch of years and Jamie is a lifer in the music industry, being good enough to play professionally but not really quite good enough to be a star or in an A-list band. He’s tooling around playing gigs at small venues, roadhouses and state fairs, and he’s doing a lot of drugs. Mainlining heroin, in fact. He’s reached bottom when he encounters Reverend Jacobs at the Oklahoma State Fair, where the former religious man is using his electrical inventions to take people’s photographs and do something … interesting … with them. He takes Jamie in and uses his electricity to cure Jamie of his addictions. He also hooks Jamie up with a job in Colorado, as a studio musician and recording engineer. Jamie owes him big-time. A third encounter with Pastor Danny (as Jacobs is now calling himself) occurs, as he and his boss (who also owes Jacobs) go to a tent-revival where he is performing genuine healings using the electricity, although he covers it in religious jargon and is clearly making a lot of coin doing so. King masterfully weaves everything together at the end, and I didn’t care how implausible it was by then, because I just wanted to know how Jamie ended up. I was satisfied with the conclusion; like Robertson’s Breakers series I described above, it seemed fair and logical with what happened in the book up until then. King tends to be a bit wordy, but I like the way he uses language to bring characters and setting to life, and allows one to glimpse the inner workings of his characters’ brains. The ending was about what I expected once I got past the steampunk vibe the book was putting out (with electricity being the main focus), but the journey, for me, was worth it, as it usually is with King’s books. I’m onto Hugh Howey’s THE HURRICANE and King’s FINDERS KEEPERS (ebook and hardcover), and will probably post something on both of them when I finish them. Update on THE INN: I decided that I’d better not use the cover image I was going to use because I’m not sure about the rights and permissions of it, so that is what’s holding up the release at this moment. I made a different cover, but I’m not sure about it either. So…I’ll post something when I finalize the new cover. 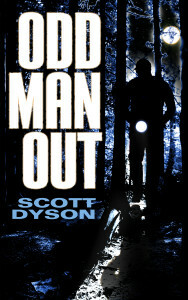 This entry was posted in Uncategorized and tagged book review, ebooks, Edward W Robertson, fiction, hardcover books, horror, post-apocalyptic, science fiction, Stephen King, thriller on September 8, 2015 by Scott Dyson.